Earlier this month, Consumer Reports said it couldn’t recommend the Tesla Model 3, after finding what it called “big flaws” in the electric sedan’s braking distance. But the publication reversed its decision on Wednesday, saying an over-the-air software update promised by CEO Elon Musk fixed the issue. As we reported, CR said it found the Model 3's braking distance from 60 mph was 152 feet, “far worse than any contemporary car [it has] tested” and was about seven feet longer than what the Ford F-150 pulled off. Puzzled, Musk responded and said his crew determined it was likely a firmware issue, and this week Tesla pushed out an update that, according to Musk, should improve braking distance by about 20 feet. That type of remote improvement, CR wrote in a story published Wednesday, had been unheard of. 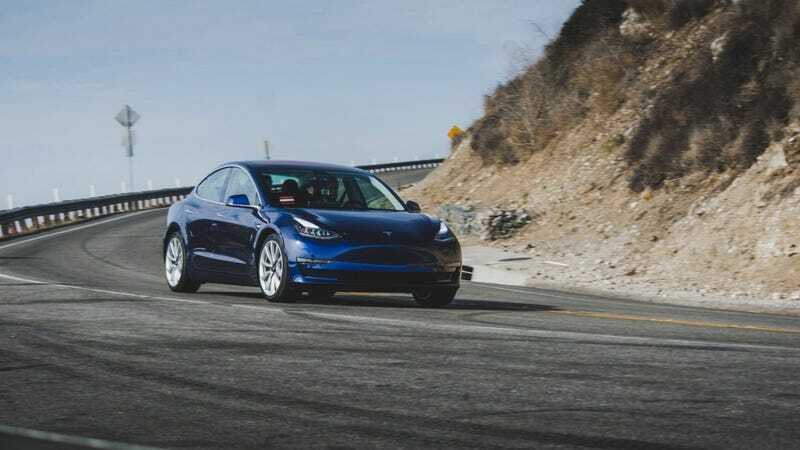 A Tesla spokesperson told the publication that it improved the Model 3's antilock braking system “to adapt to variations in how the brakes might be used and to respond to different environmental conditions,” CR wrote. “The new shorter distance is typical for a compact luxury car, and matches the 133 feet that Tesla claims its own testing found, using the same tires as those on our Model 3,” CR said. As such, the improved distance raised the Model 3's score to earn a coveted recommendation from CR. The publication still raised issues about the car’s wind noise, stiff ride, and an uncomfortable rear sear. But Musk reportedly told CR that changes have been made to the Model 3 production line to address those points. Reached for comment, a Tesla spokesperson pointed to a tweet from Musk, who offered high praise for CR—a stark contrast to the harsh words Tesla offered about the publication last fall. Surely Tesla’s feeling better about this news today, after a weekend in which Musk rambled a lot on Twitter and netted praise from actual Nazis.